Sorry San Antonio, you guys may have just been crowned World Champions for the fifth time in 15 years, but the Chicago Bulls and their six successful title runs in the ’90s are still ahead of you on the list of NBA’s greatest dynasties. 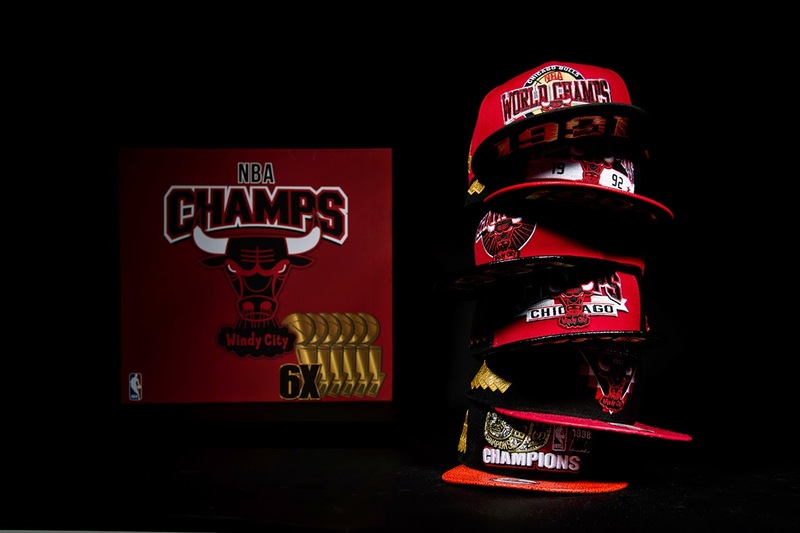 So, as a homage to Jackson, Jordan, the team(s) and their beloved Windy City, New Era will release the Chicago Bulls Six Championship Collector Pack. Each of the six snapbacks are individually-packaged in a neat commemorative box and list a particular year the team won under their premium leather brims. Be on the lookout for the above box set to drop this Saturday at select stockists, including Footaction. Socks And Sandals Are A-Okay With Me. Princess Janalle And Jacob Just Award Winners. The Roots x Patty Crash "Never"
Hello Kitty x Vans Summer Collection.